Keypad Extension Cables: To meet the growing application needs of our customers, Delta provides an affordable and convenient cable assembly in four sizes that allows the user to extend the access to the drive’s standard keypad up to 5 meters. Supporting the VFD-B, VFD-M, VFD-F and VFD-E standard keypads only. 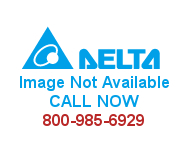 Purchase your Delta Keypad Extension Cables NOW!